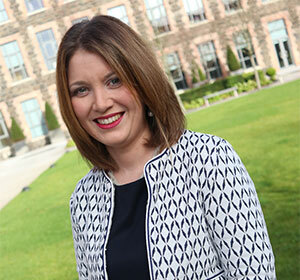 Christine attended the University of Ulster at Jordanstown and graduated in 2001 with an LLB (Hons). She then gained valuable experience working for Wilson Nesbitt Solicitors before taking up a place in 2002 at the Institute of Professional Legal Studies, Belfast and was admitted to the Roll of Solicitors in 2004. In 2016 Christine was initially taken on by Magennis and Creighton as a locum solicitor but has since joined the team. She specialises in property matters including the buying and selling of residential property, transfer of equity, and the mortgage and re-mortgage of property. Christine also has extensive experience in Litigation including Personal Injury Claims, Employers and Occupiers Liability, Road traffic Accidents and Medical Negligence. She can also advise regarding entitlement to assistance with legal costs.